Jay-Z celebrates black excellence with a celebratory message to Jordan Peele. Who'd have pegged Jay-Z as a horror aficionado? While he certainly has his creature compendium down-pat, as evidenced by his "Monster" checklist, the idea that Jay has been diving into the world of horror cinema is interesting, to say the least. 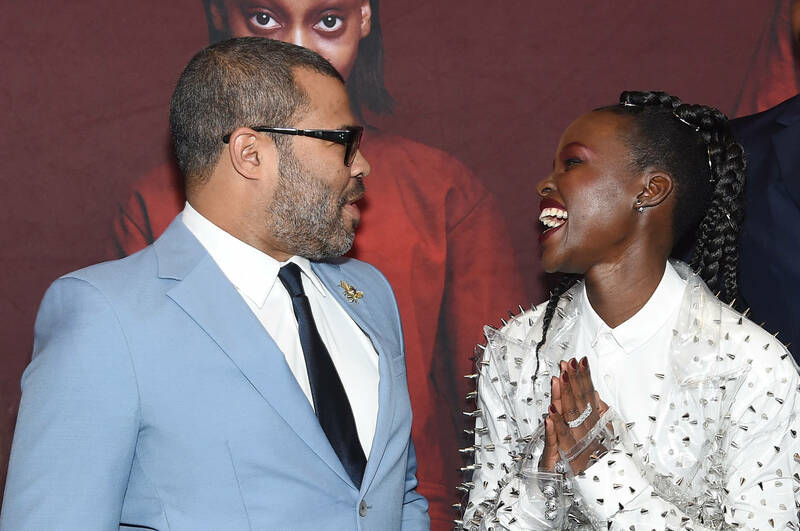 In any case, the legendary rapper recently shared a message of congratulations to Jordan Peele, who currently has the biggest movie in the United States. The official Roc Nation Twitter page showcased Jigga's words, alongside a picture of himself, Peele, and Kobe Bryant, lamping at what looks like an Oscar Party. "For US by US," writes Hov. "Congrats on the #1 movie in the world." Coming off the success of his directorial debut Get Out, Peele's Us recently raked in a massive weekend box-office haul of $70 million. The horror flick, which stars Lupita Nyong’o, Winston Duke, Shahadi Wright Joseph and Evan Alex as a family terrorized by menacing doppelgangers, is a notably ambitious effort compared to Peele's first. Not long ago, Peele actually opened up about some advice he received from Jay-Z, concerning legacy and expectation. Worried he'd be unable to top Get Out, Jay-Z came through to assuage any doubts Peele might have. "It doesn't matter," explains Hov. "You already did that." Congrats to Jordan Peele, for continuing to help solidify horror as the game's most successful, non-superhero genre. Rob Gronkowski's Girlfriend Calls Him "Best That Has Ever Played The Game"